The current credit crisis is basically a capital crisis: at a time when banks are already short of the capital needed to back their loans, capital requirements are being raised. Nearly a century ago, the Commonwealth Bank of Australia demonstrated that banks do not actually need capital to make loans – so long as their credit is backed by the government. Denison Miller, the Bank’s first Governor, was fond of saying that the Bank did not need capital because “it is backed by the entire wealth and credit of the whole of Australia.” With nothing but this national credit power, the Commonwealth Bank funded both massive infrastructure projects and the country’s participation in World War I. That is true today, but in the past there have been successful models in which the government itself issued the national currency, whether as paper notes or as the credit of the nation. A stellar example of this enlightened approach to money and credit was the Commonwealth Bank of Australia, which operated successfully as a government-owned bank for most of the 20th century. Rather than issuing “sovereign debt” – federal bonds indebting the nation to pay at interest in perpetuity – the government through the Commonwealth Bank issued “sovereign credit,” the credit of the nation advanced to the government and its constituents. King O’Malley, had been bankers themselves and knew the secret of banking: that banks create the “money” they lend simply by writing accounting entries into the deposit accounts of borrowers. “The Labor Party decided that a National Bank, backed with the assets of the Government, would not fail in times of financial stress. It also realised that such a bank would be a guarantee that money would be found for home building and other needs. After the collapse of the building societies, there was a great scarcity of money for such purposes. King O’Malley insisted that the Commonwealth Bank had to control the issue of its own notes, but he lost on that point – until 1920, when the Bank did take over the issuance of the national currency, just as the U.S. Federal Reserve was authorized to do in 1913. 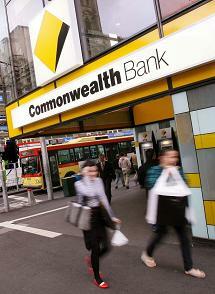 That was the beginning of the Commonwealth Bank’s central bank powers. But even before it had that power, the Bank was able to fund infrastructure and defense on a massive scale, and it did this without startup capital. These achievements were chiefly due to the insights and boldness of the Bank’s first Governor, Denison Miller. “The first test came when a decision was required regarding the amount of capital needed to start a bank of that kind. Under the Act, the Commonwealth had the right to sell and issue debentures totalling £1 million. Some even thought that amount of capital would be insufficient, having in mind what had happened in 1893. . . .